This course is designed for Peace Corps staff who moderate or will moderate a Peace Corps Official group on PCLive. The course will take approximately 25-30 minutes to complete and contains knowledge checks and quizzes. Your progress is indicated at the top of each page. Please complete each page before moving on to the next one. You can navigate to any page of the course using the navigation pane on the left, which you can hide by clicking the left arrow tab at the top. REVIEW: Which of these are unique characteristics of Peace Corps Official Groups? Who moderates a Peace Corps Official group on PCLive? Moderators are sector, training, and program specialists at PC/Washington. Because of their specialized knowledge in the subject area of a particular community of practice, these individuals have been identified as qualified subject-matter experts (SMEs) capable of ensuring that the information that is shared in a group is accurate. 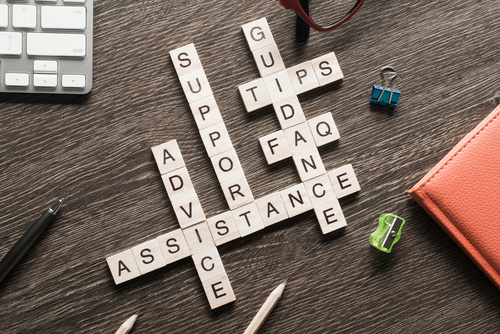 They make themselves available as points of contact for any community members who have questions relevant to the subject of the community of practice. Each Peace Corps Official group must have at least one staff SME serving as a moderator. On PCLive they appear as Admins. Why should I moderate a group on PCLive? Moderators can benefit from using PCLive to engage with their communities of practice in many ways. Reach a broader audience more quickly than through emails and calls when disseminating information, resources, and guidance. Augment and extend in-person learning events by sharing resources immediately during workshops and conferences, then follow up online when participants return to their office, post, or site. Provide guidance more informally, with less need for individualized consultations via email, phone, or in-person. Provide transparency, get feedback, and get buy-in from field staff and Volunteers through features like polls and discussion threads, to ensure that the guidance you produce is continually relevant to needs at post. Stay up to date on new developments, practices, and approaches in the field by participating in online discussions. 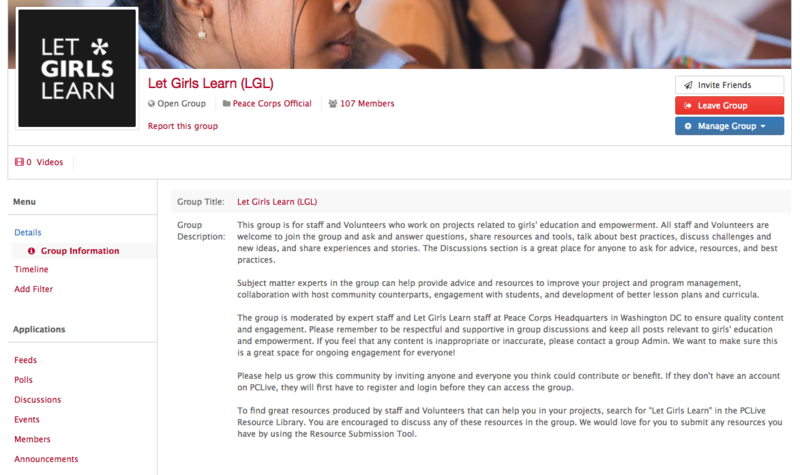 Provide a central location online for more relevant and targeted resources for Peace Corps projects that community members can’t find by searching the Internet. Recognize and promote the work of exceptional community members by posting about them in the group. 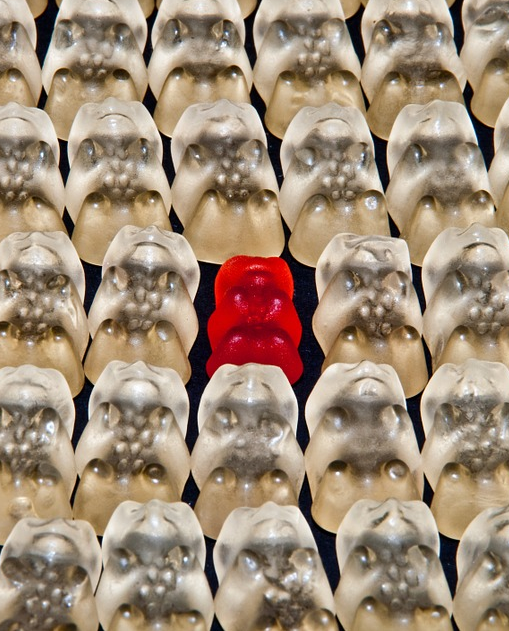 Encourage more inclusion from members who are unable to attend or might be uncomfortable speaking up in synchronous events like calls and in-person workshops. Facilitate more distance learning opportunities. Ensure quality content and engagement in online discussions. Build professional relationships through online interactions, learn who does what, and who is working on what. Promote collaboration and sharing of resources to avoid duplication of work and reinventing the wheel. Coordinate events and collaborative projects. Develop ideas and brainstorm with the community. Discuss potential solutions to common problems the community is facing. Of the benefits mentioned above, choose 3 that matter most to you and rewrite them in the text field below. Monitor content and ensure quality engagement in accordance with the PCLive Community Guidelines. Provide expertise by answering questions, participating in discussions, and posting about resources and new developments. Promote the group and increase membership. Chair a community moderator committee. Develop, document, and execute an engagement plan to ensure sustainability of the community. As a moderator, your responsibility is to monitor content and ensure that members of the community are posting in accordance with the PCLive Community Guidelines. Community members or a PCLive administrator may also alert you to content that may be inappropriate. Interventions may include the following. Instead of deleting content right away, reply to a post and ask for clarification. Click the down-triangle button at the top right of any post and click Delete this item. If a community member repeatedly makes disrespectful or inappropriate posts, you may want to contact them directly by sending a private message. PCLive administrators will see when content is reported and will notify the moderator of the group by relaying the message and the content while maintaining confidentiality of the reporter. Which group should I moderate? Go to PCLive now and find the Peace Corps Official group related to your sector, cross-sector programming priority, program, or initiative. You may be moderating more than one group. In a PCLive group, moderators are known as Admins. If you are not already listed as an Admin in the group, email [email protected] now to let us know that you need to be promoted to Admin of the group(s) you will be moderating. Write the name(s) of the group(s) you will be moderating below. In addition to the functions and features you explored in Participating in a Community of Practice Group on PCLive, moderators have a few more privileges and tools as Admins. Hover over each "i" in the image below to learn more. You can let the community know of events that are available to them such as community of practice calls, webinars, workshops, conferences, or other external events. A PCLive administrator will need to review event details before they can be posted in the group. This video shows you how to create an event. You can click the square at the bottom right of the video to expand it. Pinning posts allows you to keep one post at the top of the group timeline so it is the first thing members see when they access the group every time. Use this feature to communicate key information such as purpose, goals, rules, and expectations of the group or links to key resources. Polls are a great way to get input from the community. Create polls to get community members to vote on anything. Ideas include voting on when they would be available for a community of practice call, what they think about a particular resource, and what kinds of resources are most useful to them. 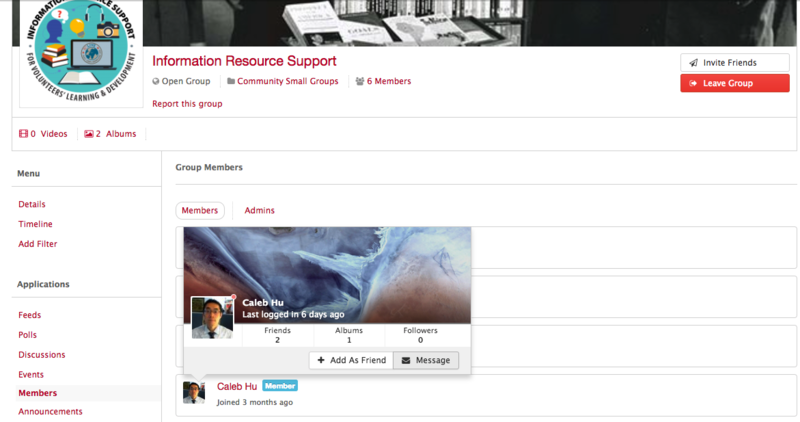 You can message any member of the group by hovering over their profile picture and clicking Message. This is also referred to as private messaging (PM). You may want to message a member if their posts or comments are inappropriate. 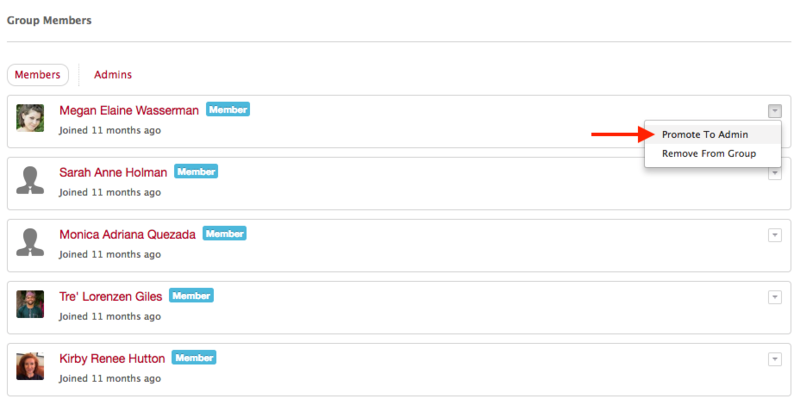 You will need to use this feature when you establish a moderator committee or need to hand over your role as moderator. You can promote multiple members to Admins as needed. When group members are promoted to Admins, they will have access to the same functions and features in the group as you do. Now that you know the basics of moderating a group on PCLive as an Admin, here are the first things you should do to get started. Find your group and click Edit Group under the Manage Group menu. Purpose and goals. 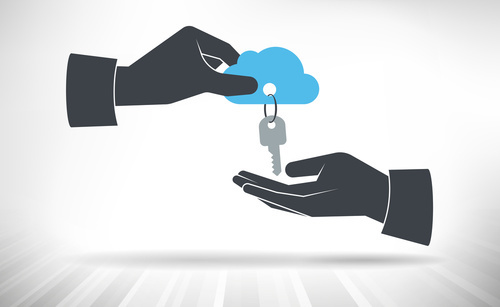 A community of practice is defined by what its members actually do. What kind of work does the community do? What do you want the community to be able to do as a result of engaging in this group? Rules and expectations. How should members interact with each other in the group? What should members consider before posting? What kinds of engagement do you encourage and discourage? 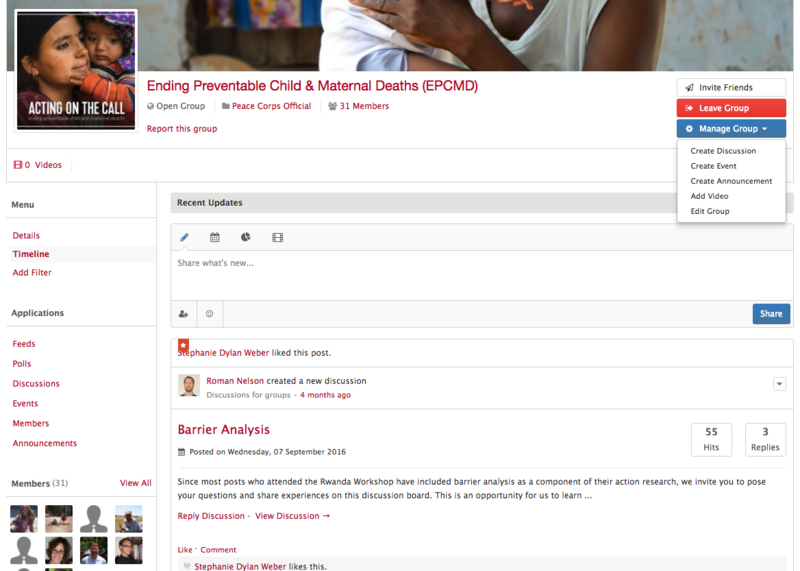 Names and roles of key members such as moderators, experts, and other contributors. Invite anyone and everyone who you think might contribute to and benefit from the group. 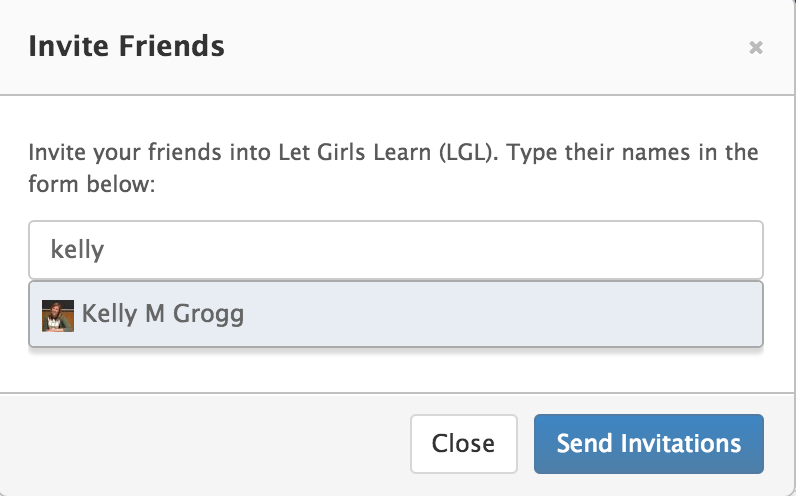 Start with whomever you are friends with on PCLive using the Invite Friends button. If inviting people by email, include a link to the group and remind recipients that they need to have an account on PCLive first. A self-introduction about who you are, what you do at Peace Corps, what your expertise are, and how you can support the community. Also include a brief explanation about the group that can be adapted from what you wrote in the Group Description. A resource that you found invaluable in informing better practices like an article, infographic, video, training package, or manual. A discussion starter. Ask a question or provide a prompt for members to respond to that can get people talking. An ice breaker asking people to introduce themselves, what projects they are currently working on, a recent accomplishment, and a challenge they are experiencing. Creating, documenting, and executing an engagement plan will encourage more quality participation, grow the community, and ensure that it outlives you when you move on from your current position. You will want to build the following into your engagement plan. This is the heart of your engagement plan and will ensure that you remain active in the group. What actions will you take and when? What will you do on a weekly, bi-weekly, monthly, bi-monthly, and quarterly basis? Create a schedule for yourself like the one below and populate it with actions you will take. Then create 15-30 minute appointments in your calendar so you don't forget. Having a group of moderators establishes accountability for moderator engagement, ensures sustainability through handover and succession, and distributes the burden and responsibility of maintaining active engagement. 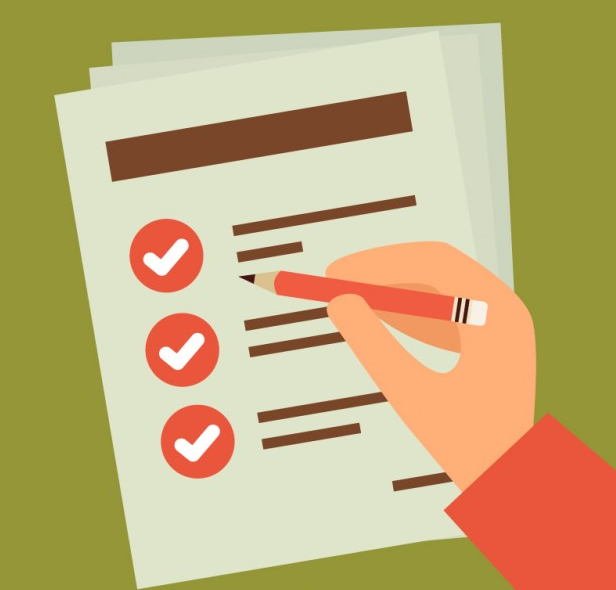 Your responsibility as subject matter expert will be to chair the moderator committee, make the engagement plan known to each moderator, appoint moderators, and assign responsibilities as needed. Identify members who are particularly active and motivated to engage with others online, not necessarily those with the most expertise. 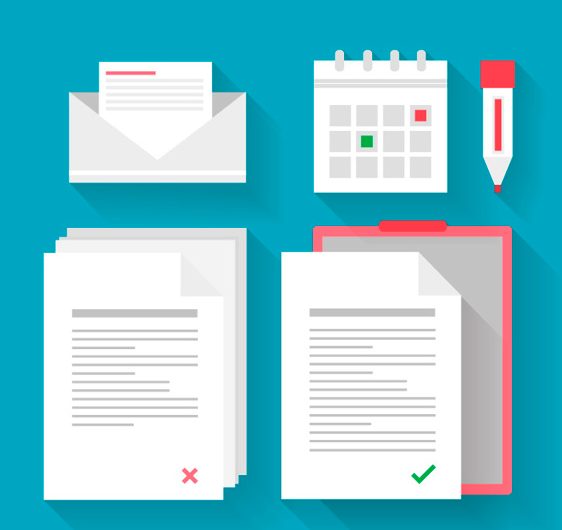 Split up the work by assigning names to items in the engagement schedule you created. Each moderator should have access to the same document. You can make this available on Workspace. Here are some ways you can advertise the group and drive people to PCLive to increase membership and engagement. Be sure to document how you intend to promote the group in your engagement plan. Include a link to the group in your monthly newsletters. You could also write a short blurb about what the community has been discussing recently. If you want to feature your group in the PCLive blog, send us a story. Soon you will be able to publish your own blog on PCLive. This is a great opportunity to feature stories about members of your community of practice and link to the group. 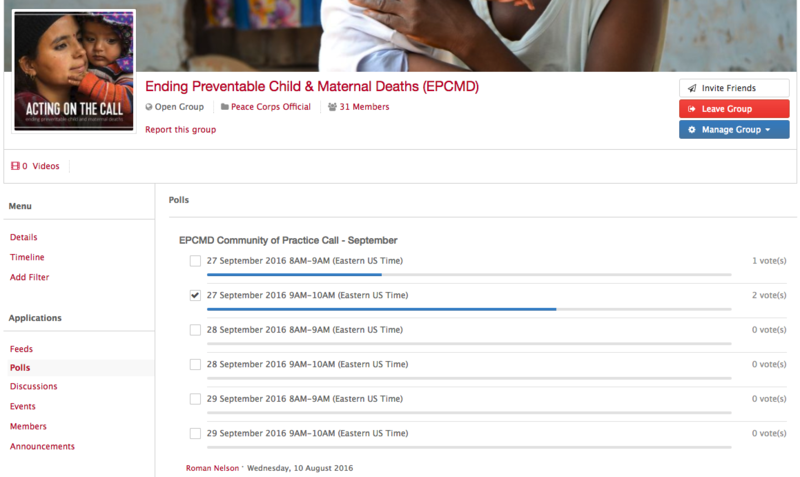 If you conduct community of practice calls or consultation calls, remind community members to go to the group on PCLive for additional support. At workshops and conferences, get participants posting resources and best practices as a learning activity. Who takes over what in the moderator committee? Will any roles change? Where can all moderators access documentation of the engagement plan? Make an announcement of the turnover and succession in the group. Change the group description if needed. Appoint new Admins as needed. Diversify content. Post articles, multimedia, kudos, tip of the week, word of the week, member of the month, announcements, new discussion questions, introductions for new members, start a parking lot discussion thread, etc. 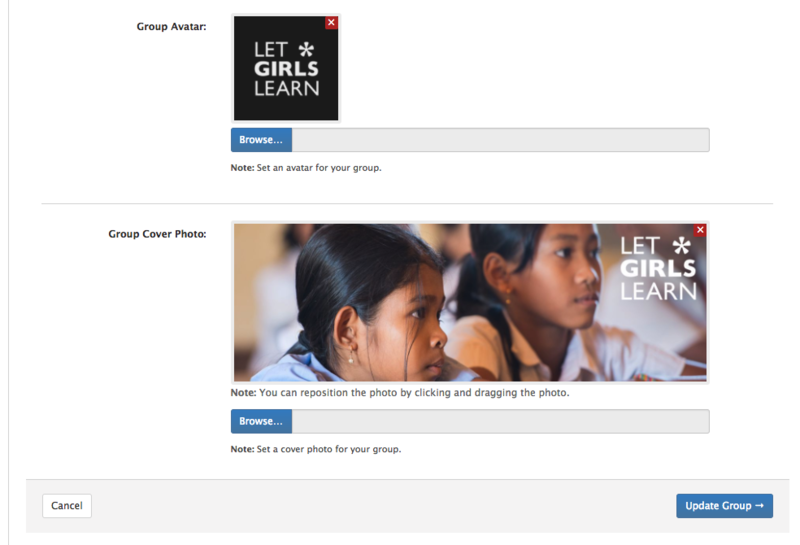 Provide tools that members can use immediately like worksheets, templates, forms, infographics, how-to videos, etc. Make the group the place to go for discussions and communication. 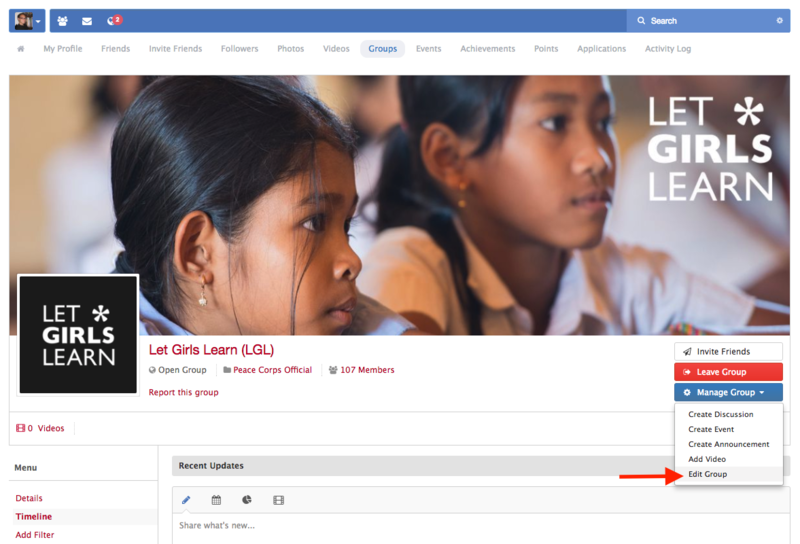 Let people know that if you have information or resources, you will post it in the group. If a member mentioned a good resource or had something particularly insightful to contribute during a call or other event, encourage them to post it in the group so that the community can benefit. Give assignments prompting people to post in the group. This could be incorporated in synchronous events like community of practice calls, workshops, and conferences. Use discussion threads for FAQs. If you find yourself answering the same question over and over, you can link to a discussion thread where that question was already answered by you or the community. Engagement is a 2-way street. If you engage with community members directly, they’ll be motivated to engage with you and the community. Like and comment on individual posts, give kudos, etc. Don’t get discouraged. It’s normal for a group to be quiet at first and periodically. 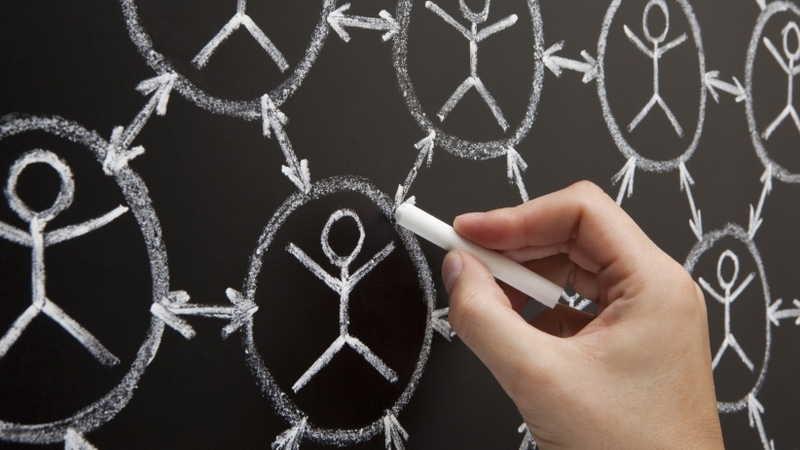 Keep posting according to your engagement plan and promote the group through several avenues. Be consistent and give people content to engage with. QUIZ: Who can moderate a Peace Corps Official Group? 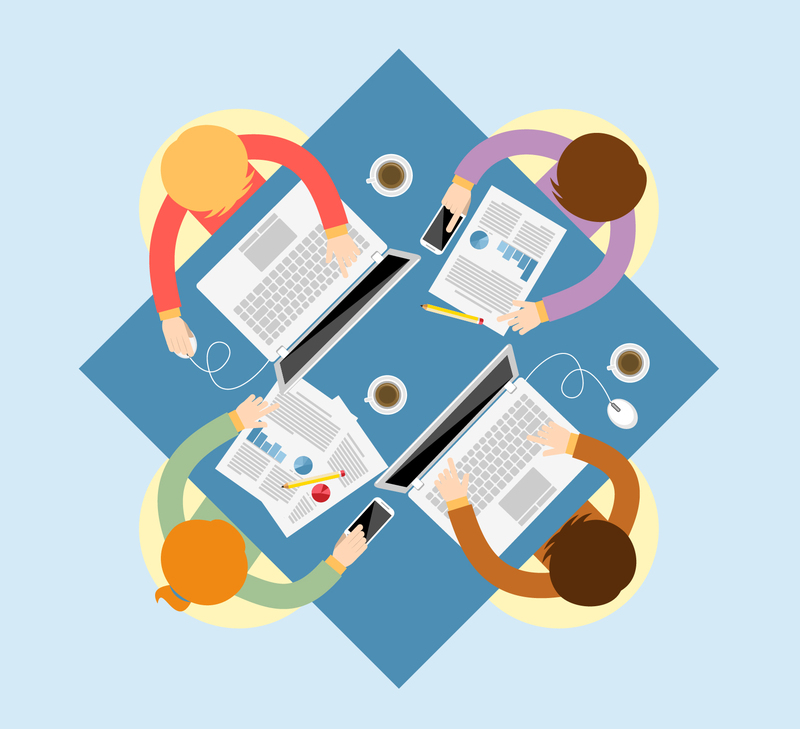 QUIZ: What can group Admins do that regular community members cannot? When someone reports a post, moderators will immediately see who reported the post and what content was reported. 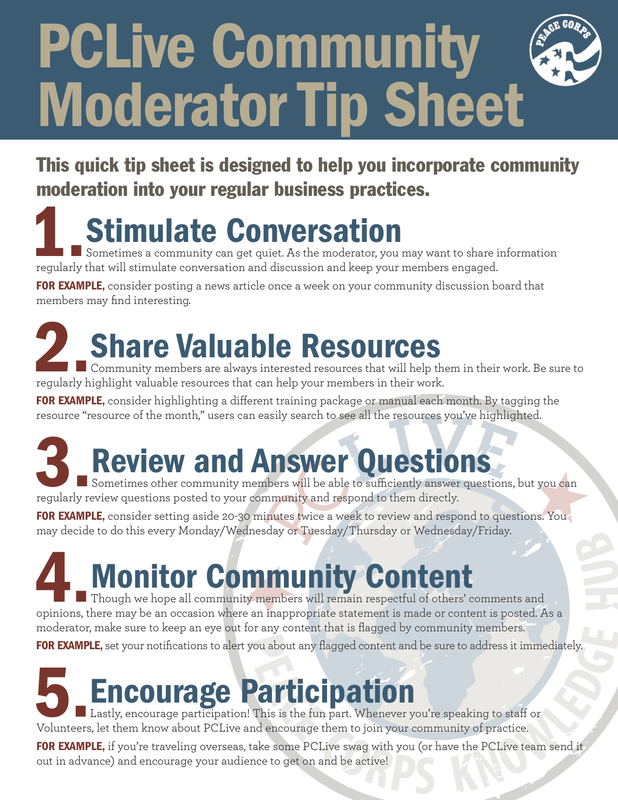 Moderators must create a community engagement plan. Moderators must contact a PCLive administrator to promote a member to Admin. 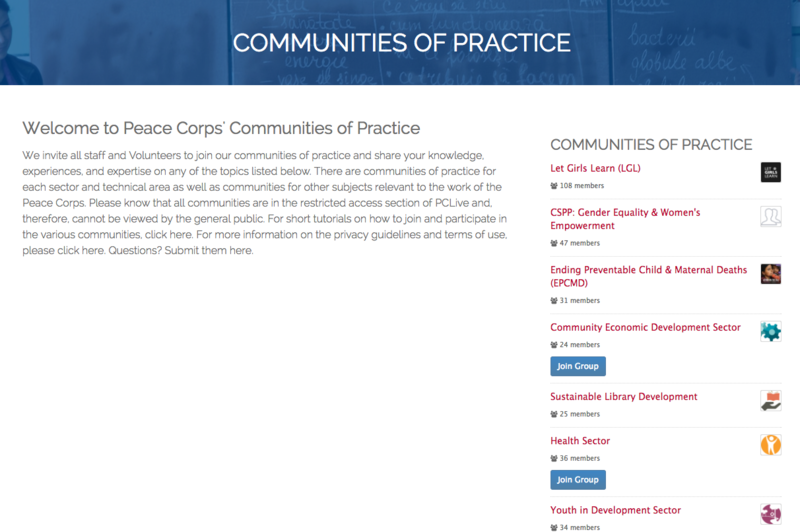 You do not need to be registered on PCLive to see the Peace Corps Official groups. Post staff do not need to login to the Peace Corps network to access PCLive. 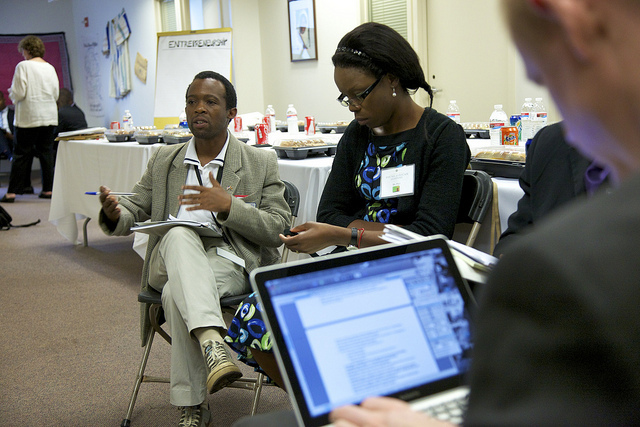 The Digital Engagement Team is responsible for promoting Peace Corps Official groups. Sometimes it is okay if there is low participation in the group as long as moderators stay consistently active. Click the circle under True or False next to each statement. Then click Submit. How can moderators promote their group and increase membership? 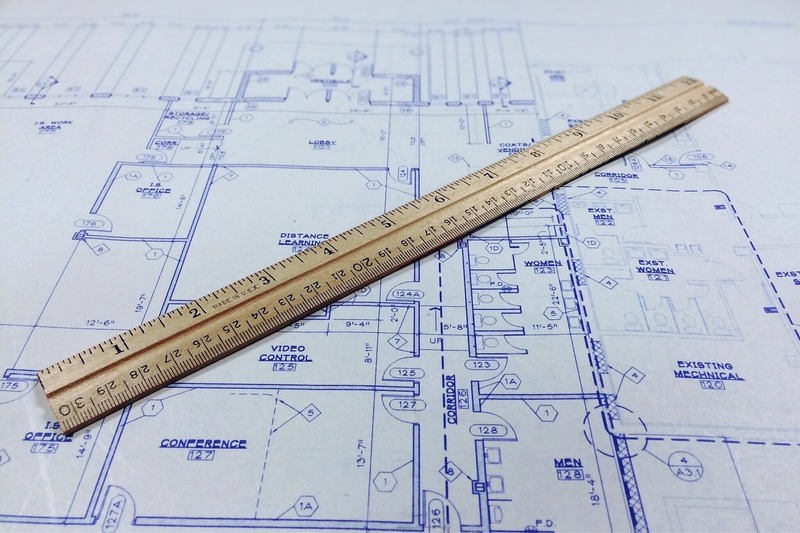 Who can provide guidance on developing an engagement plan? Congratulations! Thank you for taking the time to complete this course. Below are next steps you need to complete. The Digital Engagement Team will work with you to develop your engagement plan.